This is a super easy recipe that satisfies my sweet craving without being too bad for me. 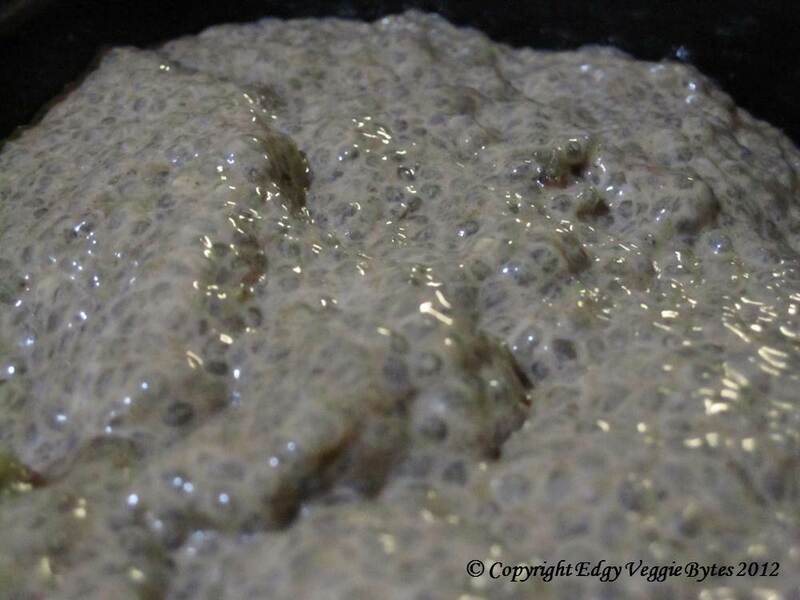 It has a tapioca-like consistency, but is healthier since chia contains protein, fiber, and variety of minerals. I made a good amount since I plan to eat it for a few days and it stays good as long as you keep it in the refrigerator. Also, you can eat it half an hour after you soak it, but I like to leave it overnight so the chia seeds aren’t as crunchy. I included the nutrition facts for the ENTIRE recipe (calculated from SparkRecipes); please divide by whatever serving size you find appropriate. 1. In a large mixing bowl, whisk the almond milk and cocoa powder together. Add the dates and whisk so that they do not stick. 2. Add the chia seeds and whisk until there are no clumps. Wait ~1 min and whisk again to get rid of the clumps. Wait another 5 mins and whisk again to get rid of the clumps. I love chia pudding. It’s just doesn’t look great… but nevertheless, it’s an awesome raw food! Agree! One idea to make it look nicer is to add some bright fruit like raspberries or strawberries instead of the dates.